Experience first class holidays at affordable prices, traveling in style in our own executive coaches, and lodging in top hotels and resorts across Fiji and the outer Islands. With year-round tours ranging from exciting city breaks to relaxing seaside locations, Pacific Escapes has the dream vacation to suit everyone’s individual taste and desire. 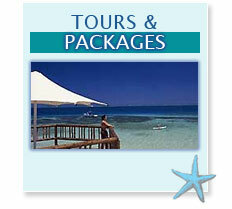 Fiji Islands based Pacific Escapes provide a professional and dependable coach hire and group travel service throughout Fiji. Using proven reliable coaches, we take great pride in delivering high quality “coach hire” at our renowned and valued prices. Since 2005 we have enjoyed dynamic growth with a penchant for repeat business that only comes from a combination of providing great memories and a strong word-of-mouth campaign. Located in Namaka, we are centrally positioned for quick access to the Nadi Airport network, to Nadi’s Denarau Marina, the departure hub to most of Fiji s beautiful private islands, to Nadi town itself and to inland departure locations. Pacific Escapes has a complete range of affordable packages to choose from: We offer Day Tours, Island Tours, Resort Packages, Hotel Tour Packages, Special Functions, Special Events and Honeymoon and Romance Packages and many, many others. Contact us to learn more about the living your dream today.